Are you looking for a licensed plumbing expert in the greater Atlanta metro area to help you with a plumbing need? Seagraves Plumbing is ready to serve you. 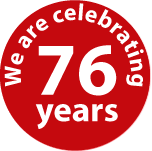 We have been serving the Atlanta metro area for 76 years! Seagraves Plumbing is one of the premiere Atlanta plumbers with licensed plumbing experts ready to serve you when you need them, including 24 hour emergency services. We offer top quality plumbing to the Atlanta metro area. The list above represents some of the more common issues that we can help our clients with but, the list is not an exhaustive list of all we do. At Seagraves Plumbing, we handle all plumbing issues, sewer line repair and septic tank problems. Our plumbers work hard to exceeed our clients expectations and we take our reputation seriously. Seagraves Plumbing is one of the premiere Atlanta plumbers with licensed plumbing experts ready to serve you when you need them. Are you looking for a licensed plumbing expert to help you with a plumbing need? Seagraves Plumbing is ready to serve you. Whatever your plumbing need, our Atlanta plumbers are professional, courteous and knowledgeable. 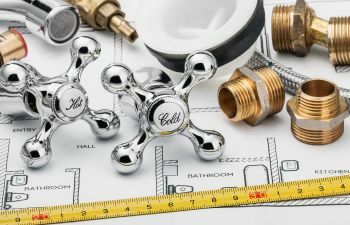 Our licensed plumbers can help you with a wide variety of plumbing needs and you will be glad to know that we have been serving the Atlanta Metro Area for over 76 years! When you need a 24 hour plumber, contact a licensed plumbing expert at Seagraves Plumbing. Day or night, if you have a plumbing problem that needs a solution, call or contact our licensed plumbers today. We look forward to meeting you and helping you solve your plumbing issue. What separates Seagraves Plumbing from the competition? - We have been serving the Marietta Area for over 76 years. 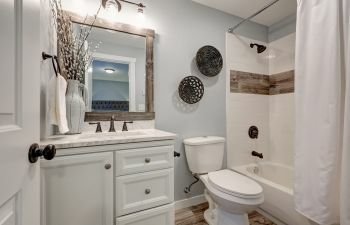 - Seagraves Plumbing Septic & Sewer serves the following areas: Atlanta Metro, Decatur, Buckhead, Dunwoody, Sandy Springs, College Park, Eastlake, Midtown, Vinings, and Smyrna. Our Plumbing Company also serves the following counties: Fulton County, Cobb County. Is Seagraves Plumbing licensed and insured? - Yes, we are licensed and fully protected by a worker’s comp. and a general liability policy. "I have been using Seagraves Plumbing Septic & Sewer for years. They always do a great job and have resonable prices. I would highly recommend Seagraves to anyone in need of Plumbing or Sewer/Septic Services." Also, read what our customers are saying about us or leave us a review on Google+, Kudzu and Angie's List! Nothing is worse than the potent odor of rotting food in your kitchen. A smelly garbage disposal is a surefire way to lose your appetite and drive out dinner guests. Many homeowners assume that if their plumbing system is dependable, then it is also efficient. However, that is not always the case. Maximum efficiency means conserving as much water and energy as possible while still operating effectively. This also equates to lower utility bills each month. Regardless of where they occur, plumbing problems of any kind can be frustrating and inconvenient. However, when plumbing issues develop in your business, they can impact your profits as well as your stress level. The original plumbing in my old house is getting worn out here & there, and Seagraves has come and fixed a few things for me. Most recently, I had a homeowner's chore involving the water line to a toilet get away from me. They were able to send someone out the next morning, as it was not an emergency, and he arrived about 15 minutes early--convenient for us--and got right to work. He had to cut into the wall to replace a failed section of pipe, but helpfully suggested that he cut into the bedroom wall, rather than asking us to send for someone to cut into the tiled bathroom wall. While we were moving furniture he installed my toilet float & flapper. Got done in an hour & fifteen minutes, & charged a very reasonable hourly rate for the job. These guys are great. Very responsive and cost is reasonable. Plumbers and electricians always make me nervous - you never know what you are going to get! But I'm so happy we've finally found a plumber we trust! We have used Seagraves Plumbing several times and we have always been very satisfied with their service. We had a Rheem 50 gallon gas water heater installed several months ago and most recently a new toilet in our guest bath. Each time they arrive as scheduled, are very courteous and everything is done very professionally and in a timely fashion. Our family has used this company for 55 years and has never been disappointed. I had a pipe burst in my home with water spewing everywhere. Seagraves Plumbing came out right away and took care of the problem quickly. Probably saved me tons of money in home improvement repairs. Service was great, price was awesome. Would recommend them to anyone. Thanks for your help. Having used Seagraves for many years, when we had an emergency at our rental property, I called them in a panic wondering how quickly they could go to our rental property for a leaking water heater. I was told they could be there within the hour, wow, I was delighted with such quick service. Upon arrival I was told that the water heater needed to be replaced and I agreed. They replaced it immediately and presented me with a bill that I have since learned was about $ 100 - $ 300 less than their competitor. I will never call anyone but SEAGRAVES PLUMBING. Thanks Seagraves, I will recommend you to all our friends and neighbors. Great job - again. Second time using Seagraves. Matt and Fernando came on time, did great work, and the pricing was very fair. They were funny, professional, prompt and thorough. Would highly recommend these guys for any plumbing needs. These guys are awesome. Scheduled an appointment to have a plumbing situation inspected for a house being bought. They were on time, communicate well and gave great guidance! Do recommend! Michael Seagraves and his crew are the real deal. They quote quickly and accurately, and in return for your money spent with them, you get a pro job. The added bonus is that they are skilled and dedicated plumbers, not just a bunch of fellas that happen to be doing plumbing work to make $$ this week. We've used seagraves for multiple plumbing jobs at an office park, and also for residential issues.